It sounds like either the cam shaft position sensor is going bad or there is a wiring problem. Check to make sure the wires are clean and tight and not corroded. SUMMARY: P0010 - Intake Camshaft Position (CMP) Actuator Solenoid Control Circuit Fault; The camshaft position (CMP) actuator is attached to each camshaft and is hydraulically operated in order to change the angle of the camshaft relative to crankshaft position (CKP). The CMP actuator solenoid is controlled by the control module. The control module sends a pulse width modulated 12-volt signal to a CMP actuator solenoid. The solenoid controls the amount of engine oil flow to a CMP actuator. The CMP actuator can change the camshaft angle a maximum of 25 degrees. The control module increases the pulse width to accomplish the desired camshaft operation. HINT: Measure the resistance of each CMP actuator solenoid valve assembly. Resistance should be between 8-12 ohms, if it is not within specification, replace the defective solenoid valve. Otherwise continue with the following troubleshooting. 2. Test for less than 5 ohms between the low reference circuit terminal B and ground. If greater than the specified range, test the low reference circuit for an open/high resistance. 3. Verify that a test lamp does not illuminate between the low reference circuit terminal B and the control circuit terminal A. If the test lamp illuminates, test the control circuit for short to voltage. If the circuit tests normal, replace the ECM. 5. Command the CMP Actuator Sol. ON with a capable scan tool. Verify the scan tool CMP actuator solenoid status is OK. If not the specified value, test the control circuit for a short to ground. If the circuit tests normal, replace the ECM. 6. Install a 3A fused jumper wire between the control circuit terminal A and the low reference circuit terminal B. Command the CMP Actuator Sol. ON with a scan tool. Verify the scan tool CMP actuator solenoid status is Fault. If not the specified value, test the control circuit for an open/high resistance. If the circuit tests normal, replace the ECM. 7. 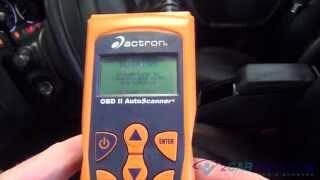 Determine that the vehicle has the correct engine oil. If the engine oil life system monitor displays the Change Oil Soon message, the engine oil is more than one year old, contains additives, or is not the correct viscosity, change the oil. 8. Test the engine oil pressure. If the oil pressure is low, correct the low pressure first. If all tests are normal, replace the CMP actuator solenoid. Recently my Cobalt threw the P0013 and P0014 error codes. I'm not experiencing any of the symptoms I've read about for those error codes such as difficult acceleration, loss of power, loss of gas mileage etc. The only thing that seems out of the norm / that I noticed when the CEL came on, is a constant buzzing whenever the gas pedal is pressed. The buzzing is constant regardless if I'm running AC or not. Maybe these are two different problems? Both of these problem are related. With those trouble codes it is telling your there is an issue with the timing chains and guides or the camshaft actuators. What happens is the timing chain will wear or a guide will break causing the camshaft timing not to be controllable so the engine goes into limp mode. You will need to take the engine apart and replace the broken pieces. Here are guides to help you get the problem fixed. Also if the ngien in low on oil is can do the same thing so check it first. This can also be caused by a bad oil control valve of the camshaft actuators. Here are the diagrams to help you get the job done. 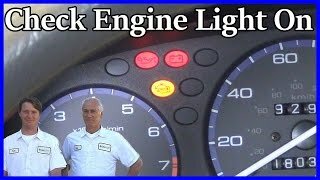 My check engine light came on a few weeks ago. 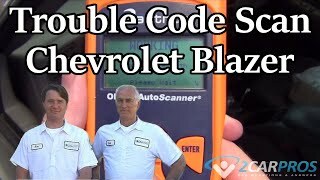 I had it checked and it came up with the code P0013. I had the exhaust camshaft sensor replaced and the code cleared. After driving for about a week, it came back on. I took it to get the code checked and it came back with the P0013 code again. However, this time my engine oil was also checked and it had barely any oil. I'm on top of having my car maintenanced and just had my oil changed (synthetic oil) not too long ago - it's not due for an oil change for another 1,500 miles. So oil was filled and code reset. A few days passed and the light is on again. The car seems to be running fine, no oil leaks, no smells of oil or burning. Any ideas of what could be causing this dreaded light? The (CMP) camshaft actuators use Engine oil pressure to Control intake and exhaust camshaft timing. Cam timing is adjusted as the actuator is energized. However, even if the cam shaft sensor is working, one needs to check the camshaft phase angle parameters while commanding the camshaft position actuator solenoid from 0% to 100% with a scan tool to check if it is responding. This is where I THINK your problem may be coming from and where I would start. What does the code p0013 mean it say camshaft position circuit open bank 1- exhaust How do I fix this?